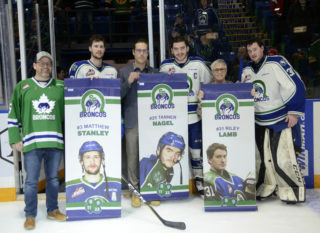 Tuesday night marked the sixth and final game of the Swift Current Broncos six-game road swing that saw over 4,000 km in distance covered ranging from Brandon, MB to the five WHL clubs in B.C. The Broncos competed hard all evening against the Kelowna Rockets but ultimately came up short in a 3-2 loss. 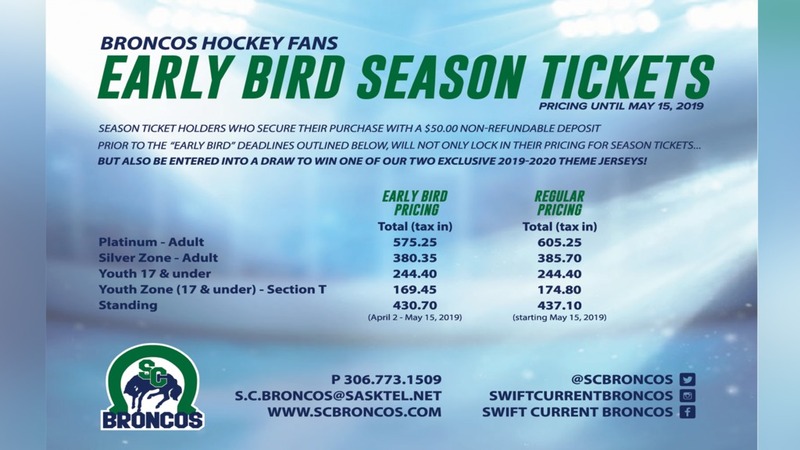 Swift Current again gave up an early goal as Lane Zablocki netted his first of the season when he quickly gathered up a rebound from the door step and shoveled one over the shoulder of Broncos goaltender Joel Hofer to make it 1-0 Kelowna. 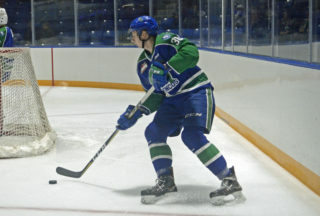 Broncos forward Alec Zawatsky got one back for Swift Current at the 10:07 mark of the first period when his team was on their first power play. The 18-year-old walked in from the left point towards the left faceoff dot and fired a wrist shot that ricocheted off James Porter’s catching mitt and bounced in the net. Kyle Topping put Kelowna up 2-1 over seven minutes into the second period but the lead was short lasted as rookie import forward Joona Kiviniemi deposited his third goal of the season to draw the Broncos to a 2-2 deadlock with Kelowna. Rookie forwards Matthew Culling and Ben King drew assists on the play. Broncos forward Max Patterson appeared to score the go-ahead goal but it was waved off due to a questionable goaltender interference call but nonetheless the score remained 2-2. Moments later, Kelowna’s Jack Cowell lasered a low shot through the wickets of Hofer and it was 3-2. 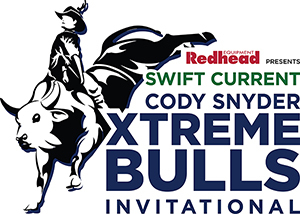 Shots on goal were 11-9 for Swift Current in the second period alone as the visiting team continued to play hard and stay competitive. The Rockets’ Cowell landed himself in the penalty box for a four-minute high sticking penalty with 4:34 left in the third period. 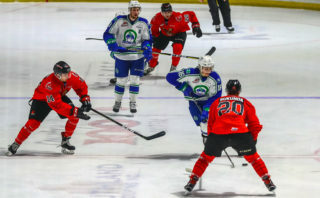 Swift Current’s power play was buzzing with scoring chance after scoring chance, including a post off the stick from defenceman Connor Horning but a game-tying-goal wasn’t in the works as Kelowna escaped with a 3-2 win. Shots on goal favoured the Rockets 33-25. 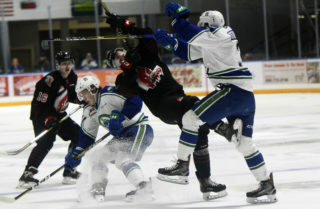 Swift Current landed one power play goal in five tries while shutting out Kelowna on their two power play opportunities. The Broncos will now return home and get some much needed rest before returning to the Innovation Credit Union i-Plex for a rematch of the 2018 WHL Championship Series vs. the Everett Silvertips on Saturday, October 27th. Puck drop is set for 7:00pm MT.